Seems like Facebook’s CEO knows how to hold a grudge and reply back right away! Mark Zuckerberg is just doing every bit to respond to the comments from Apple’s CEO, Tim Cook. The latest report on the issues comes straight from Facebook’s newsroom, where Facebook has denied all allegation stating that Facebook ordered its management to use android because Mark was infuriated with what Tim said. Facebook does agree that it asked its executives to use Android only because it is the most popular operating system worldwide. Facebook clearly puts up its stance saying that Mark does “clearly disagree” with what Tim has to say. But, that has nothing to do with the company’s decision to promote Android over iOS. “Facebook CEO Mark Zuckerberg is reported to have ordered his management team to switch from iPhones to Android after he was infuriated at the comments from the CEO, Cook”. 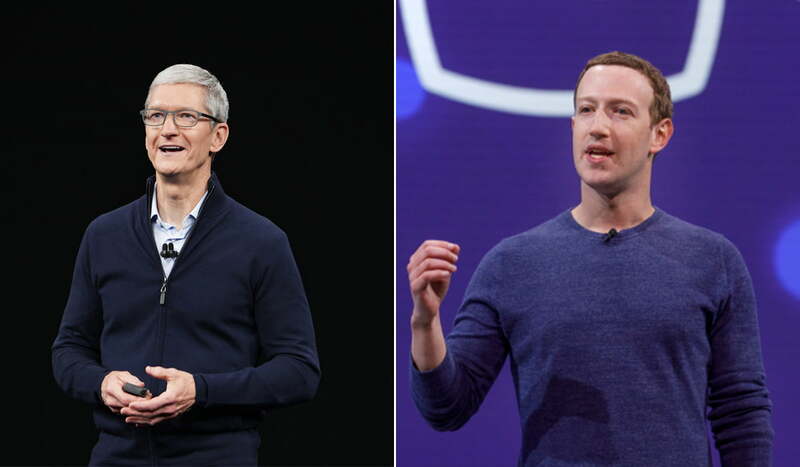 The cold war between the CEOs of Facebook and Apple initiated after the Cambridge Analytica Data Scandal of the social media platform, Facebook. Mark was infuriated by the statements Tim made at this situation. Tim Cook, Apple’s chief executive, said in an MSNBC interview. To which, Mr. Cook replied, “I wouldn’t be in this situation.” This statement by Cook was taken up by the roars of laughter from the audience.